HALO WORLD CHAMPIONSHIP QUALIFIERS BEGIN! 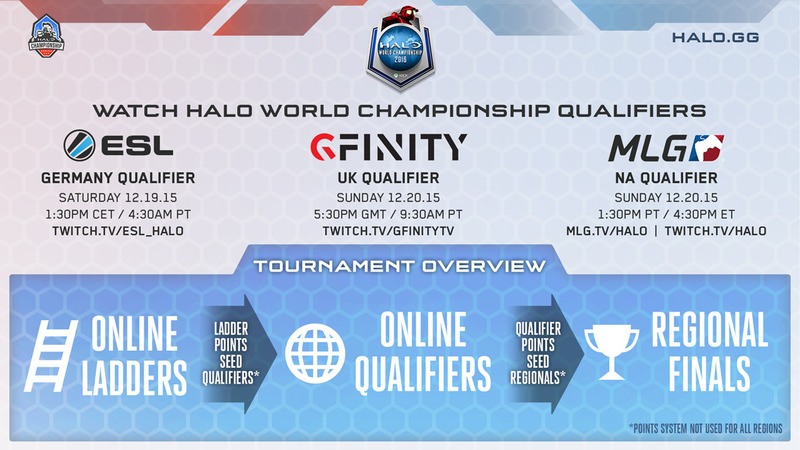 The first online qualifiers for the Halo World Championship begin this weekend! Teams spanning the globe will compete for glory, ranking points, and a chance for a precious spot in their Regional Finals. Our friends at ESL, Gfinity, and MLG will broadcast the #HaloWC qualifiers all weekend long -- here’s a breakdown of where you can catch the action! Halo Reach is now playable on Xbox One! Got an Xbox One? You can now play Halo: Reach on it! If you already had a digital copy, it's waiting for you to download now! More details at News.Xbox.com. - All Playlist ranks reset, including HTR Score. - Some more features will come soon regarding seasons, getting a more historical view. We were a bit rushed to get this stuff out the door, so there could be some bugs. Please report them in this news thread. - We have backed up your Season 1 Arena Stats. We're working on getting them online. We'll begin tracking your Season 2 stats. - Leaderboards may be a bit weird until we can get everything properly reset on our end. - Couple pages are getting errors. We're looking into it. - Reply to this post if you have any other concerns. Love the site? Want to support us? We now have a premium user program available. Check out the program for yourself, but simply put, it removes Ads off the site, which speeds it up (even if you use adblock), and supports our hardware costs, licenses, and buys us a beer from time to time. Each weekend, 343i are giving you the option to vote on which new or returning playlists you want to see in matchmaking. Each time a new mode is introduced, it’ll earn the right to be a poll option for two weeks, win or lose. 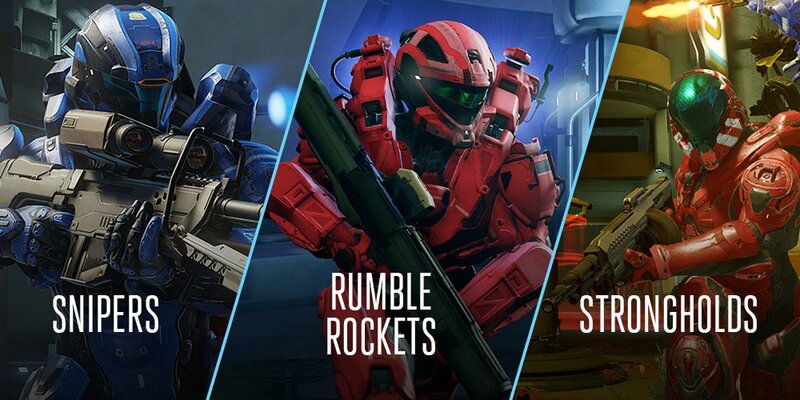 Vote in the poll by 11:59 PM PT Wednesday night, and 343 will announce the winner after the poll closes.